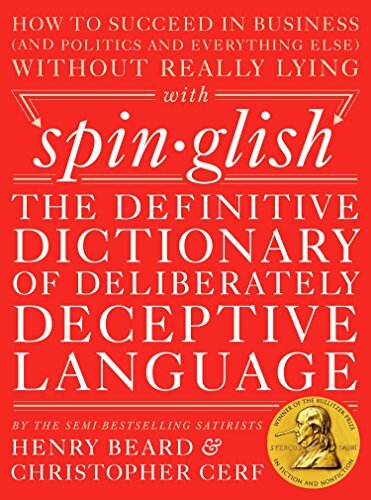 With each and every entry sourced from some of the greatest real-life language benders in the world today, you’re virtually guaranteed to have the perfectly chosen tried-and-untrue term right at the tip of your forked tongue. Wish you could nimbly sidestep a question without batting an eye? Not sure how to apologize while also . . . not apologizing? Spinglish has you covered. Simply consult this convenient, shoot-from-the-lip glossary, and before you know it, you’ll be telling it like it isn’t, it wasn’t, and it couldn’t ever have been. If you have any questions about this product by Blue Rider Press, contact us by completing and submitting the form below. If you are looking for a specif part number, please include it with your message.